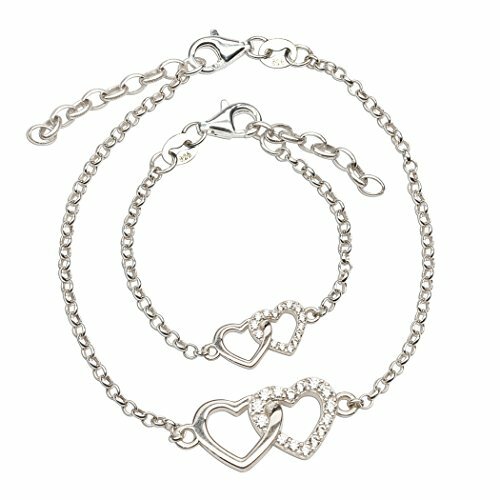 Sterling silver bracelet set for mother and daughter or grandmother and granddaughter. These beautiful keepsakes are crafted with Sterling Silver with cubic zirconia's. A true keepsake that will be treasured for generations to come. Mother's bracelet is 7 - 7 1/2" adjustable and the daughter's is available in three sizes. A very heart warming gift for any mother and daughter. Perfect for New Baby Gift, Baptisms or Mother's Day! Bracelets come in a beautiful gift box.